The short film and 30-second commercial have been launched in the run up to the Super Bowl, which shows that as a brand Gillette is serious about championing their cause of ‘The best men can be’. In conversation with Adgully, Neeraj Vyas, Business Head, Sony SAB & Sony Pal, speaks at length about the growth strategy for Sony SAB as the New Year begins and how the channel has been gaining in this transition process. In an interaction with Adgully, Prathyusha Agarwal speaks about the channel pricing strategy, the value proposition, the fate of FTA channels and more. 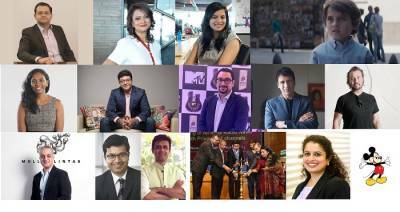 Adgully spoke to Gaurav Banerjee, President and Head - Hindi GEC, Star India, and Nikhil Madhok, Head of Hotstar Original Content, to know more about the strategy behind the launch of Hotstar Specials, the growth of Star India’s presence in the OTT space, TRAI’s tariff regime for the TV industry and more. In conversation with Adgully, Ferzad Palia speaks about ‘MTV Unplugged’s performance over the years, selecting music and artists for the show, association with Royal Stag Barrel Select and more. Adgully caught up with Devika Prabhu to know more about the strategy behind launching Marvel branded channel. Mullen Lintas, the creative agency of MullenLoweLintas Group, today announced the appointment of Vikas Mehta as its CEO. Ogilvy announced today a new creative leadership team in the Asia Pacific region. Reed Collins and Sonal Dabral will lead the agency’s creative efforts throughout Asia Pacific, with Collins continuing his focus on North Asia while Dabral will take on the role of leading the agency’s South East and South Asia offices. Ajit Mohan, VP and Managing Director whose appointment was announced last year, SandeepBhushan - Director and Head of Global Marketing Solutions, Akhi Das - Policy Director, PrashantAluru - Strategy and Operations Director, Manish Chopra - Director of Partnerships, and Amrita Ahuja - Director of Communications. ICC also confirmed that David Richardson will step down as Chief Executive when his contract expires post the ICC Cricket World Cup. App Annie, the leading app analytics and app market data company, has predicted that app store consumer spend will surpass $120 billion in 2019. 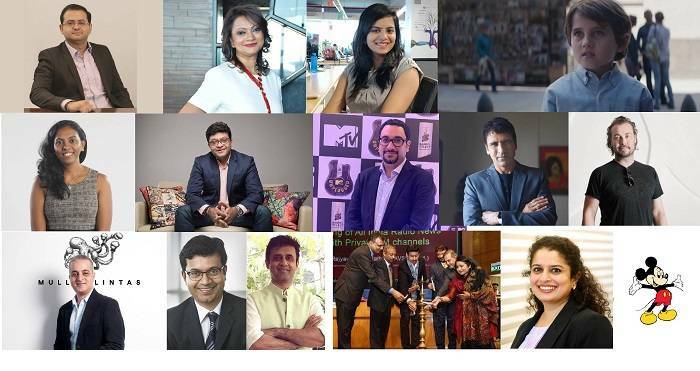 Hotstar, Voot, Zee5, Arre, SonyLIV, ALT Balaji, Netflix and Eros Now also known as Online Curated Content Providers (OCCPs) have voluntarily signed a self-regulatory Code of Best Practices under the aegis of the Internet and Mobile Association of India [IAMAI]. Sony Entertainment Television was the biggest gainer this week, climbing up three notches to the second spot. Zee Entertainment Enterprises Limited (ZEEL) has reported consolidated revenue of Rs 21,668 million for the third quarter ended December 31, 2018, a growth of 17.9 per cent on YoY basis. Network18 Media & Investments Limited has reported an 18 per cent YoY jump in operating EBITDA to Rs 88 crore in Q3FY19, despite continuing investments into recent launches. As Chief Partnership Officer at Kidzania India, Sona Mazumdar is responsible for customising solutions for clients to ensure long term business objectives of both clients as well as KidZania are met. She is responsible for nurturing and growing partner relationships. Swathi Srinivasan is Group Head - Media, at Isobar. She has been recognised as the Emerging Leader of the Year 2018 within 3 months of joining the organisation. She leads one of the key media accounts in Mumbai - Estee Lauder Companies, with over 9 brands under the entity. Featured this week isAnshumanVerma, Chief Marketing & Digital Officer at DHFL Pramerica Life Insurance (a joint venture of Prudential USA and DHFL in India).